More problems for Florida marine life as an alarming number of dead dolphins have washed ashore along southwest Florida beaches, including the Tampa Bay area. It comes after a summer of unprecedented deaths around the coast of Florida, literally millions of tons of dead marine life due to a toxic algae bloom. And 2018 has been a record year for dolphin deaths. "Over the last week or so, its changed dramatically,” said Gretchen Lovewell with Mote Marine Lab. According to News Channel 8, in the past few days, more than 20 dead dolphins have washed ashore along Lee and Collier counties. And the number continues to climb. 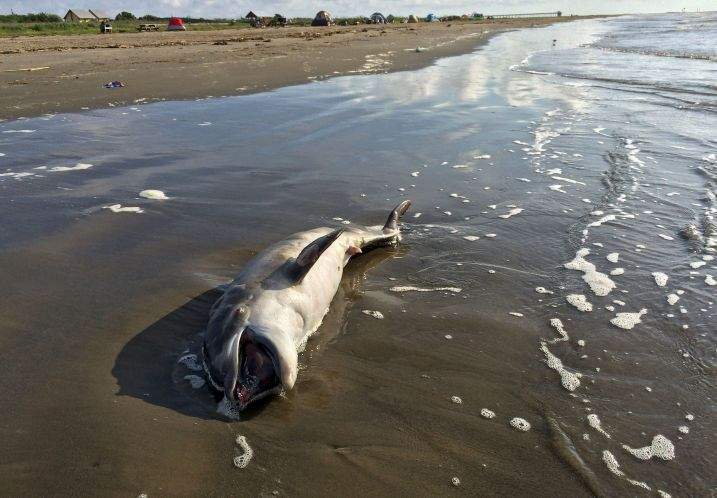 Two dead juvenile dolphins were found at the Kingfish Boat Ramp in Holmes Beach. A large dolphin was recovered in the gulf off Sarasota and the fourth was found in Manasota Key. Necropsies have been completed and samples have been sent to a lab to determine whether red tide is the culprit. "I'm hoping that we're dealing with just more of the same even though the numbers are elevated. I would hate to know that we're dealing with something else but we just won't know for a little while until we can get all those tests back,” said Lovewell. In the meantime, scientists from all over Florida are in the Fort Myers area as the death toll continues to climb.